Value and opportunity in this wonderful lakefront home just minutes from the Bagnell Dam Strip. This 3,300 Sqft. 5 bedroom, 4 bath home has been remodeled and shows wonderfully. The work has been done! Newer flooring, cabinets, electrical, appliances, light fixtures, decks, water heaters, hvac, plumbing and a new addition. It even has an amazing private pool just off the back deck. On top of the decking is an amazing view of the lake and provides a wonderful place to play and relax. With 125 feet of shoreline and a large lot there is plenty of room for the dock and lakefront landscaping of your dreams. It would also be possible to add a garage and give the home some wonderful curb appeal. Level driveway, big yard, and a large home for all of those guests, family members, and friends. This is a great floor plan with 2 master suites, a living room, family room, and an additional room being used for a family room. This place is ready for summer fun. Dock and furniture included! 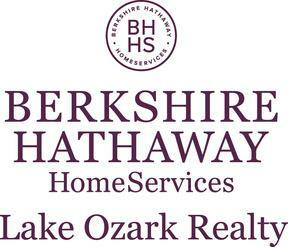 I am interested in 93 Welsh Rd, Lake Ozark, MO 65049 (Listing ID # 3511378).